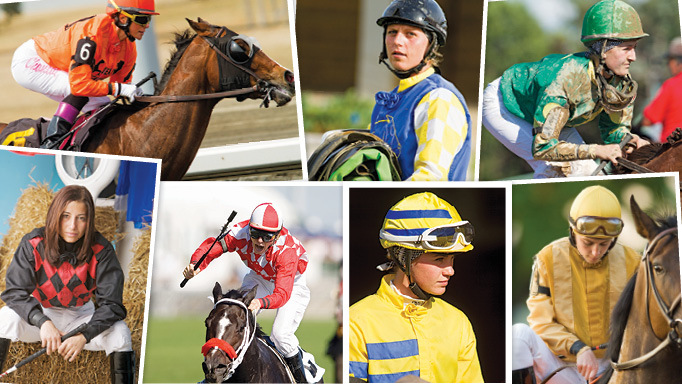 The pro rider speaks on injury and recovery from concussions. On the surface, show jumping athlete and coach Ainsley Vince appears to have it all: a beautiful farm in Burlington, ON, housing her business Linden Ridge Ltd., 18 of her own, family’s and clients’ horses with room to expand, and a new indoor arena under construction which will create a truly all-season facility. 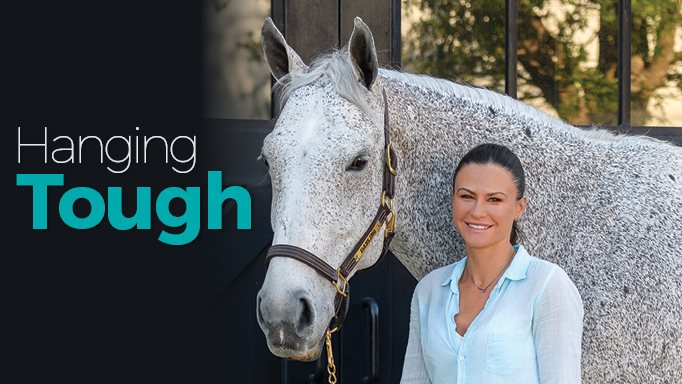 On the show circuit she is campaigning a talented, sweet, 14-year-old grey Westfalian mare with the fitting name Darling. But every day is a battle for Ainsley, who has suffered a number of injuries during her long and successful riding career, which has seen her represent Canada at the 2003 and 2004 World Cup Finals, win the Canadian Show Jumping Championships twice with Catch 22 (2001, 2002), and be named Ontario Hunter Jumper Association Jumper Trainer of the Year in 2010, 2011 and 2012. She is also one of the few Canadian Medal final winners to go on and coach a winner. Three serious concussions have left her facing some difficult challenges and required her to put some systems into place so that her business and livelihood wouldn’t suffer. Ainsley experienced her first concussion when she was just 10 years old. “Oddly enough, it was the day that I was trying my very first pony to buy,” she says, adding that the riding ring in which she did her test ride had a worn-down trench near the rail. “The pony didn’t do lead changes yet and I went into the corner on the wrong lead and up on the bank and fell over. I was wearing a helmet. That was concussion number one. Concussion number three – the most serious one – happened in 2015. “I was schooling a client’s horse. The horse was heading to a water jump and fell down and took me with it. I was airlifted to Sunnybrook Hospital [in Toronto] and was in a coma for three days. Then I was in a wheelchair, then I was on a walker. I went to so many hospitals and so many [rehab] programs. She adds, “I’m also very careful about which horses I get on and under what circumstances. If it’s a cold, windy day and the horse is being silly with the rider, that’s not the one I’m getting on. 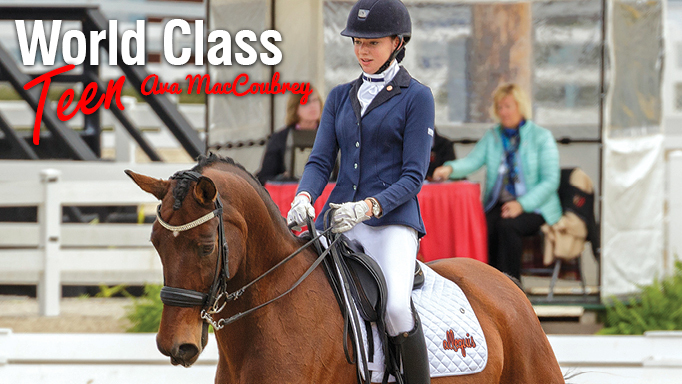 Young Canadian dressage rider, Ava MacCoubrey, has the talent and the work ethic to succeed. 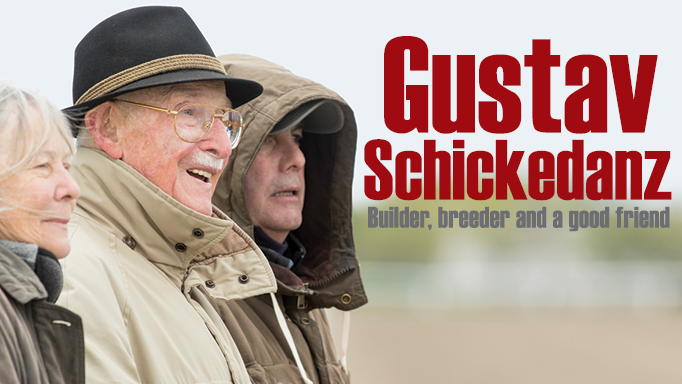 Longtime owner/breeder Gustav Schickedanz will be honoured with the E.P. Taylor Award of Merit. 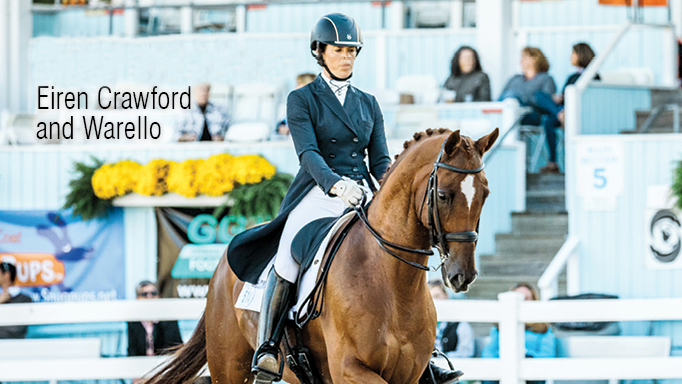 A chat with an ambitious Canadian dressage rider, coach and clinician.